The royal hair? 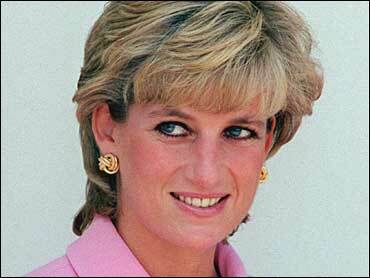 Jam made from what its maker claims is one of Princess Diana's hairs is up for sale at an art exhibition in London. The preserve, called "occult jam," is part of a surrealist art show at London's Barbican Art Gallery that includes exhibits by Salvador Dali and Rene Margritte. The 5-pound-a-jar ($7.60) jam is both art and food, Sam Bompas, who founded catering company Bompas and Parr, said Sunday. He said the preserve is made by infusing a tiny speck of the late princess of Wales' hair with gin, which is then combined with milk and sugar to create a product with a taste resembling condensed milk. The hair was bought on eBay for $10 from a U.S. dealer who collects what he says is celebrity hair and sells it in extremely tiny parts. The art show's organizers asked his company to come up with a response in food to the exhibition's surrealist theme. Bompas said he decided to make the bizarre product to provoke people into thinking about food marketing and how language enhances the everyday eating experience, he said. "We thought about it and the most mundane food of all is jam. So we made it a surreal object," he said. Self-styled "food architects," past projects included a banquet consisting entirely of gelatine molds shaped like architectural landmarks. In another, they gave audiences at a screening of Peter Greenaway's film "The Cook, The Thief, His Wife and Her Lover" scratch-and-sniff cards that evoked smells from key scenes in the movie.